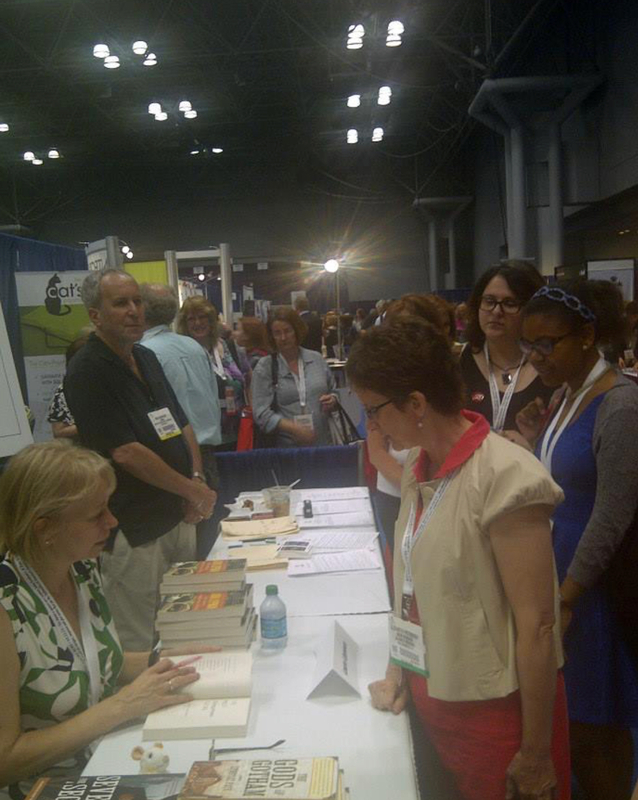 That is ME right in the front in the gold jacket and that is Laura Lippman. 🙂 One year after I retired and still wearing my teacher clothes. LOL!! I missed the Mystery Writers of America booth this year. I totally forgot about this photo. Julie and I missed MWA too! I also hate flying. I'm a mess. The crowds are a bit overwhelming. Yay BEA :-) I went a couple years ago and had a blast. I WILL get to BEA...some day! You will hopefully get there, and I know you will enjoy it. Great photo. What did you teach? Ah such a wonderful event to attend Elizabeth and great to look at a throwback and relish it all over again. Oh yes....such fun to see back five years ago. I missed this booth, though. I wish they had been there. Fun photo and post! Its great that you still wear your "teacher clothes"; they are professional yet (I imagine) comfortable.